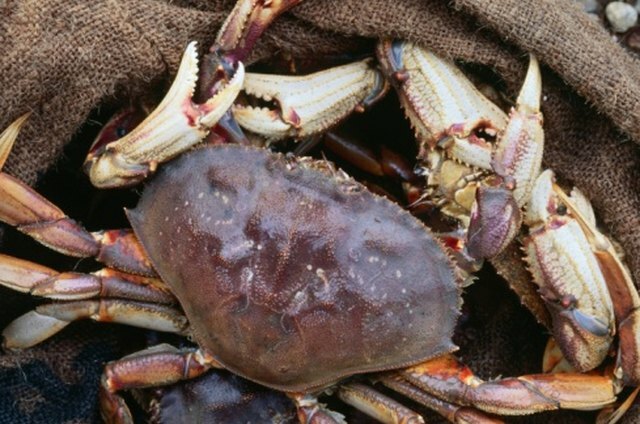 The dungeness crab is harvested by the ton from the Pacific ocean and sold to markets worldwide. Fishermen keep only the males with a shell of 6 1/4-inch or more and return the smaller males and females back to the ocean to keep the population thriving. This is a large crab with over 25 percent of its weight in edible meat. Usually crews catch the crabs, freeze them quickly on site to stop any spoiling and then ship them out to markets. Often only the legs are sold in eastern parts of the United States, but occasionally, you might find the whole crab. Arguably the most delectable part of the dungeness crab is the claws. This is where you'll find the largest muscle of the crab and therefore the largest section of meat. 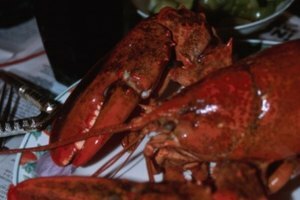 However, in relation to the blue crab, the lobster and other crabs, this claw is easier to crack and smaller in relation to body size. The subtle sweetness of dungeness crab leg meat contrasts with the hint of saltiness. The leg meat separates easily from the soft shell. 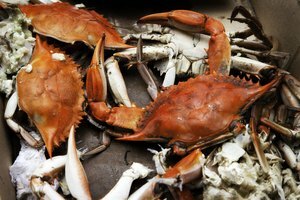 Another benefit of eating dungeness crab harvested in the winter is the high meat-to-shell ratio. 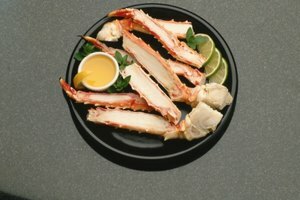 If you purchase a pound of dungeness crab legs, most of the weight is in the meat and not in the shell. True seafood lovers will tell you there is delectable meat in the body of the dungeness crab, but it takes a little more work to get to it. Once the legs are off, the fins removed and the top shell opened, you rinse the cavity clean and crack it in half, lengthwise. 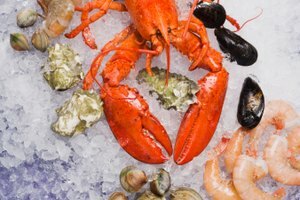 Use a hammer to break up the shell so you can pick out the tender white meat inside. Although the shells are not edible, if you toss all the broken shells in a stockpot and cover them with cool water, you can make a nice fish stock. Bring it up to a boil and then simmer it for about 10 minutes. 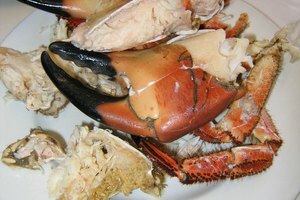 Strain out the shells and use it for bouillabaisse stock, chowder or fish soup base.